Agriculture – Definition – Importance and scope – Branches of agriculture – Evolution of man and agriculture – Development of scientific agriculture – National and International Agricultural Research Institutes. The term Agriculture is derived from two Latin words ager or agri meaning soil and cultura meaning cultivation. Agriculture is an applied science which encompasses all aspects of crop production including horticulture, livestock rearing, fisheries, forestry, etc. Agriculture is defined as an art, science and business of producing crops and livestock for economic purposes. As an art it embraces knowledge of the way to perform the operations of the farm in a skillful manner, but does not necessarily include an understanding of the principles underlying the farm practices. 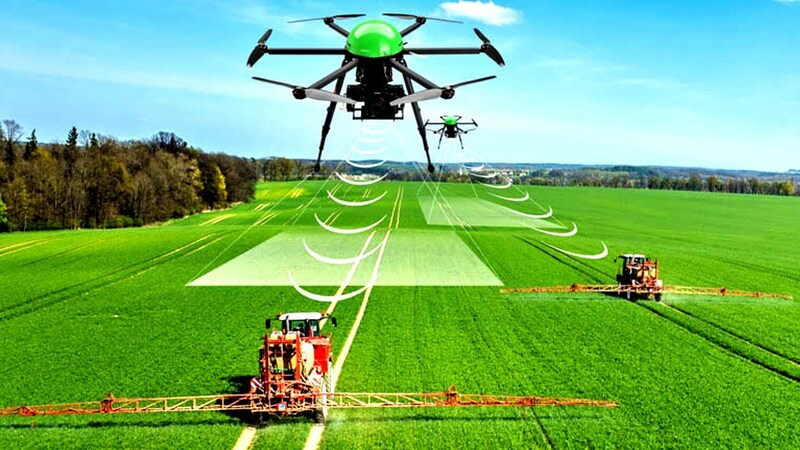 As a science: utilizes all technologies developed on scientific principles such as crop breeding, production techniques, crop protection, economics etc. to maximize the yield and profit. For example, new crops and varieties developed by hybridization, Transgenic crop varieties resistant to pests and diseases, hybrids in each crop, high fertilizer responsive varieties, water management, herbicides to control weeds, use of bio-control agents to combat pest and diseases etc. As the business: As long as agriculture is the way of life of the rural population production is ultimately bound to consumption. But agriculture as a business aims at maximum net return through the management of land labour, water and capital, employing the knowledge of various sciences for production of food, feed, fibre and fuel. In recent years, agriculture is commercialized to run as a business through mechanization. AGRICULTURE is defined in the Agriculture act (1947), as including ‘horticulture, fruit growing, seed growing, dairy farming and livestock breeding and keeping, the use of land as grazing land, meadow land, osier land, market gardens and nursery grounds, and the use of land for woodlands where that use ancillary to the farming of land for Agricultural purposes”. With a 16% contribution to the gross domestic product (GDP), agriculture still provides livelihood support to about two-thirds of country’s population. The sector provides employment to 58% of country’s work force and is the single largest private sector occupation. Agriculture accounts for about 15% of the total export earnings and provides raw material to a large number of Industries (textiles, silk, sugar, rice, flour mills, milk products). Rural areas are the biggest markets for low-priced and middle-priced consumer goods, including consumer durables and rural domestic savings are an important source of resource mobilization. The agriculture sector acts as a wall in maintaining food security and in the process, national security as well. The allied sectors like horticulture, animal husbandry, dairy and fisheries, have an important role in improving the overall economic conditions and health and nutrition of the rural masses. To maintain the ecological balance, there is need for sustainable and balanced development of agriculture and allied sectors. Agriculture’s eyes and minds are soothed by dynamic changes from brown (bare soil) to green (growing crop) to golden (mature crop) and bumper harvests. Plateauing of agricultural productivity in irrigated areas and in some cases the declining trend warrants attention of scientists. Agriculture helps to elevate the community consisting of different castes and communities to a better social, cultural, political and economical life. Agriculture maintains a biological equilibrium in nature. Satisfactory agricultural production brings peace, prosperity, harmony, health and wealth to individuals of a nation by driving away distrust, discord and anarchy. Through white revolution, milk production quadrupled from 17 million tonnes at independence to 108.5 million tonnes. Through blue revolution, fish production rose from 0.75 million tonnes to nearly 7.6 million tonnes during the last five decades. Through yellow revolution oil seed production increased 5 times (from 5 million tonnes to 25 million tonnes) since independence. Similarly, the egg production increased from 2 billion at independence to 28 billion, sugarcane production from 57 million tonnes to 282 million tonnes, cotton production from 3 million bales to 32 million bales which shows our sign of progress. India is the largest producer of fruits in the world. India is the second largest producer of milk and vegetable. 1) Agronomy – Deals with the production of various crops which includes food crops, fodder crops, fibre crops, sugar, oilseeds, etc. The aim is to have better food production and how to control the diseases. 2) Horticulture – Deals with the production of fruits, vegetables, flowers, ornamental plants, spices, condiments and beverages. 3) Forestry – Deals with production of large scale cultivation of perennial trees for supplying wood, timber, rubber, etc. and also raw materials for industries. 4) Animal husbandry – Deals with agricultural practice of breeding and raising livestock in order to provide food for humans and to provide power (draught) and manure for crops. 5) Fishery science – Deals with practice of breeding and rearing fishes including marine and inland fishes, shrimps, prawns etc. in order to provide food, feed and manure. 6) Agricultural Engineering – Deals with farm machinery for filed preparation, inter-cultivation, harvesting and post harvest processing including soil and water conservation engineering and bio-energy. 7) Home Science – Deals with application and utilization of agricultural produces in a better manner in order to provide nutritional security, including value addition and food preparation. On integration, all the seven branches, first three is grouped as for crop production group and next two animal management and last two allied agriculture branches. civilization. They are Hunting, Pastoral, Crop culture, Trade (stages of human civilization). 1. Hunting – It was the primary source of food in old days. It is the important occupation and it existed for a very long period. 2. Pastoral – Human obtained his food through domestication animals, e.g. dogs, horse, cow, buffalo, etc. They lived in the periphery of the forest and they had to feed his domesticated animals. For feeding his animals, he would have migrated from one place to another in search of food. It was not comfortable and they might have enjoyed the benefit of staying in one place near the river bed. 3. Crop culture – By living near the river bed, he had enough water for his animals and domesticated crops and started cultivation. Thus he has started to settle in a place. periods that lead to development of scientific agriculture. Experimentation technique was started (1561 to 1624) by Francis Bacon. He conducted an experiment and found that water is the principle requirement for plant. If the same crop is cultivated for many times fertility is lost. Jan Baptiste Van Helmont (1572-1644) was actually responsible for conducting a pot experiment. The experiment is called as ‘willow tree experiment’. He took a willow tree of weight 5 pounds. He planted in a pot and the pot contained 200 pounds of soil and continuously monitored for five years by only watering the plant. By the end of 5th year, the willow tree was weighing 16 pounds. The weight of soil is 198 pounds. He concluded that water is the sole requirement for plants. The conclusion was erroneous. In the 18th century, Arthur Young (1741-1820) published ‘Annals of Agriculture’. In the beginning of 19th century, scientist Jean Senebier (1742-1809), a Swiss naturalist, a historian, gave explanation that increase in the weight of plant was due to the consumption of air. Theodar Desaussure gave the principle theme of photosynthesis. Liebig is a German scientist and considered as the ‘Father of agricultural chemistry’. It was his opinion that the growth of plant was proportional to the amount of mineral substances available in the soil. This is called as ‘Liebig law of minimum’. • Following Liebig, an agricultural experiment station was started in Rothamsted in England on 1843 (Old Permanent Manurial Experiment – OPME), it dealt with nutrients. Subsequently many developments took place. In U.S. land grant colleges was started in 19th century. Its objective was to meet the expenditure of the college from the land around the colleges. 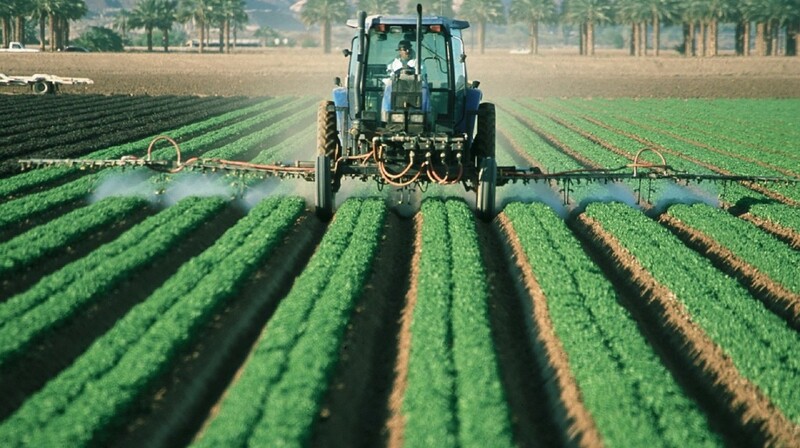 USDA (United States Department of Agriculture) is responsible for the introduction of herbicides 2,4-D and tractor combine for harvesting and threshing. Under Land Grant College, agriculture oriented teaching, research, extension are expanded. Many international research institutes were started for a specific crop. • 1857–Michigan State University was established to provide agricultural education at college level. • Gregor Mendal (1866) discovered the laws of hereditary. • Charles Darwin (1876) published the results of experiments on cross and self fertilization in plants. • Mitscherlich (1909) proposed the theory of law of diminishing returns that increase in growth with each successive addition of the limiting element is progressively smaller and the response is curvilinear. • Wilcox (1929) proposed “inverse yield nitrogen law”. It states that the growth or the yielding ability of any crop plant is inversely proportional to the mean nitrogen content in the dry matter. Scientific agriculture got momentum in the 19th century itself. Indian Land Tax was levied in the middle of 19th century. In 1877, 1878, 1889, 1892, 1897 and 1900, the population was decreased due to continuous famines. Only due to these famines, the British regime started many development programmes. Lord Dalhousie (1848-1856) period the ‘Upper Bari Doab Canal’ in Punjab was constructed. Improvement of agriculture started only in his period. In Lord Curzon’s (1898-1905) period, the ‘Great Canal system of Western Punjab’ was constructed. During his period Imperial Agricultural Research Institute was started in Pusa in Bihar. His period is called as ‘Golden period of agriculture’. During his regime, Department of Agriculture and Agricultural colleges for provinces were started at Coimbatore in 1906. Due to earthquake at IARI in Pusa, Bihar it was shifted to New Delhi. In 1926, Royal Commission on Agriculture was setup and was responsible for giving recommendation to dug canals, lay roads, etc. Based upon the recommendation of Royal Commission, ICAR (Imperial Council of Agricultural Research) was started in 1929 with the objective to conduct agriculture research. State Agricultural Universities (SAU) were started after 1960s). ICAR had also started research institutes of its own in different centres in India for various crops. ICAR is the sole body, which controls all the Agricultural Research Institutes in India. It paved way for green revolution in India. After 1947, ICAR totally adapted to Land Grant Colleges. In 1962, a Land Grant College was started in Pantnagar (UP). It is the first university with 16,000 acres. There are 45 state agricultural universities with research institutes on its own. High yielding wheat varieties like Kalyansona, Sonalika, Lerma roja and Sonara-64 were introduced. Green revolution took in wheat first, next in rice after the invention of Indo-Japanica variety. Today, agricultural research is multi-dimensional. In includes tissue culture, biotechnology besides breeding, crop production and crop protection. 1965-67 – Green revolution in India due to introduction of HYV –Wheat, rice, use of fertilizers, construction of Dams and use of pesticides. WARDA – West African Rice Development Association Ivory coast, Africa. WMO– World Meteorological Organization, Vienna. Sir we are trying to serve you all slowly slowly. We are trying to upload full bsc agriculture course.